The takeaway from Ski Test 2016? Next season's skis will blow your mind. Many of our OnTheSnow ski testers likened the experience of testing skis to dating. If that's the case, then the Editors' Choice skis are their favorite dance partners, which would make the skis on this list the cheap dates. Metaphors aside, there's nothing cheap about this fleet of high-scoring, lower cost skis, a good handful of which, in fact, are on the Editors' Choice list themselves. Results are tabulated based on a combined price/rating value score for skis that fell below the average price point for their category. Editors' Note: These calculations are based on manufacturer suggested retail price (MSRP) and may not reflect actual store pricing, which is often discounted. A hot date who's not high maintenance? Forget going out again, marry that ski immediately! 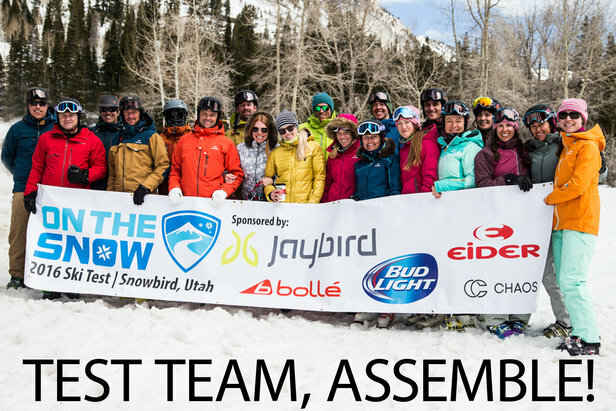 Best Women's Value Ski: Salomon sweeps the value AMF category with the Salomon Lux representing on the women's side as a Jill of all trades. Lowest on the spend scale, testers feasted on this ski that's “Like a Vegas buffet—something for everyone.” Honorable mention here goes to Armada Victa 87 and the always-popular Blizzard Black Pearl. Best Men's Value Ski: The best value skis in the men's AMB category look a lot like our Frontside selects, with the Dynastar Cham 2.0 97 claiming the title for being in the top two for score, the bottom two on cost and the fact that it “Plows through packed powder and rails on the ‘roy.” Priced the exact same, Elan's new Ripstick 96 trails only slightly behind in overall rating and thus value score. Best Women's Value Ski: Atomic takes the value win with its Vantage 95 C W for being "a dependable ski you can drive on any terrain—and it won’t drive you,” plus a sticker price that belies its high scores across the board. Equally inexpensive, the new Armada Victa 93 was a close runner up. Best Women's Value Ski: In an unprecedented four-way tie between female floatation devices, skis from Blizzard, Atomic, Head and Völkl are similarly priced and scored, with one exception: the Völkl 100Eight W stands out as the top scoring ski of the entire test overall, as well as in the versatility domain. Atomic's Backland FR 109 W impressed testers on the float and stability fronts; the Blizzard Sheeva shined for the highest carving score in the category, and the Head Big JOY for its best-in-category stability performance. You can't go wrong with this superlative group.